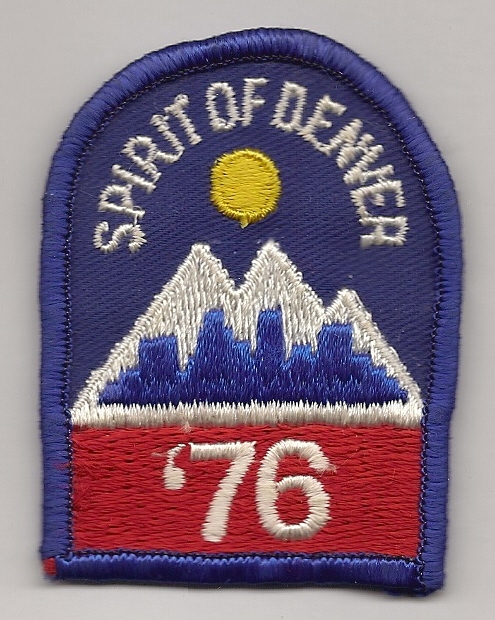 Mayor's Committee of 19 for '76 logo. Crime investigators have learned to check the obvious. Yet, when we decide to write articles, we overlook our own surroundings, family, and friends. All of my nine or so Chicken Soup for the Soul sales came from personal events or those of family and friends. My “as told to” sale resulted from a church meeting when a woman described her son’s miraculous recovery after a motorcycle accident. Although Chicken Soup no longer accepts “as told to” stories, other publishers do. In your search for stories, don’t overlook strangers. Listen to table conversation at fundraisers, parties, and other events.When you interview, ask lots of questions even if they seem off subject. Your focus may change. For instance, you start a conversation with the quiet man across the table. You discover he served as Denver’s Centennial-Bicentennial chair, played on the last football team Denver University fielded, and co-chaired Denver's Pay Raise for Mayor Committee. I should take my own advice. Few Fort Collins friends know my husband did those things. The key word is LISTEN. Listen to friends and family, neighbors and strangers. Listen at meetings and in restaurants. Listen to the news. With the high winds of Hurricane Sandy devastating the east coast, refocus and write something about disasters in your locality? Search publications that take reprints. When I submit to regional markets, I write “one time rights” on the manuscript. That way I can sell the article multiple times without changes. First offer the manuscript locally, then make changes and submit regionally, nationally and, perhaps, even internationally. How can you make changes. Here are suggestions: 1) provide new/different photos of the subject; 2) insert one or two different facts; 3) stick to the style of the publication; and 4) refocus. Start paying attention and finding new article ideas in your own locale. What have you written and published from your hometown?